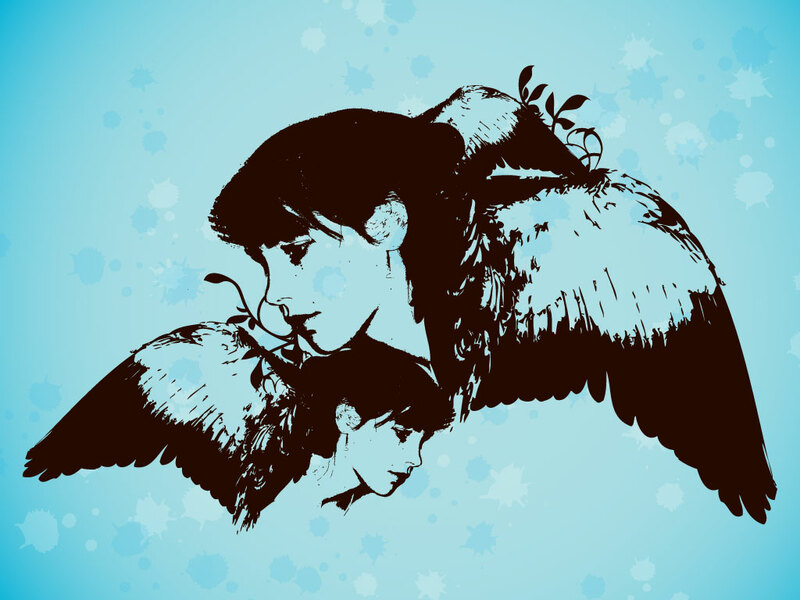 A cool abstract image made up of a vector trace of a young girl, beautiful wings and floral elements. A nice soft image that could look great as a wallpaper or be the focal point of an abstract and decorative design. Download as AI and PDF for your designs. Tags: Abstract, Angel, Feathers, Floral, Girl, Leaves, Wings, Woman.